Dean Fujioka (Singer of Yuri!!! on ICE) was top pick for “Man I Want To Embraced ME”. Which had 52 votes. 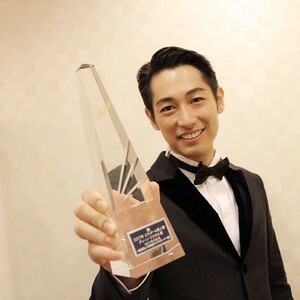 Dean Fujioka actually also won the grand prize at Yahoo! Japan’s 2016 Search Awards and Best Supporting Actor. And also won the Newcomer Award at this years Elan d’or Awards. Dean Fujioka’s popularity is surely growing. Is because he is acting in the live-action Fullmetal Alchemist film? Or because he is the lead role in the live-action adaptation of Maki Enjōji’s Happy Marriage!? manga? Either way, I do hope to see more of this guy around! Previous articleHow Well Do You Know Guilty Crown? Next articleIs Kuzu No Honkai Worth Watching?